I am a member of the #CollectiveBias Social Fabric Community. This shop has been compensated as part of a social shopper amplification for Collective Bias and its advertiser. Soy miembro de la comunidad #CollectiveBias Social Fabric. Este shop es compensado y parte de una amplificación para Collective Bias y su anunciante. Date nights can be (should be) fun, but they can be a bit nerve reeking when it is your first date. First impressions count and most of us do our best to look as cute as possible. Your makeup can be one of your best assets, if you use the right products. RIMMEL London, for example, carries many products that are affordable and of great quality. They are guaranteed to be date proof. Their recent launch, the Stay Matte Foundation, is a great asset for your special date, and for every day. It has a weightless formula, it feels soft, it controls shine, gives you a matte look, and blends perfectly with your skin. This foundation will allow you to stay flawless at a great price. To make your eyes look more seductive, try using a mascara that will separate your lashes, give you length, and won't give you raccoon eyes. RIMMEL's Scandal Eyes Mascara has a great formula that maintains the curl and a brush that helps separate your lashes and give you awesome length. It is definitely one of the best cheap mascara's out there! Do you want to know how to achieve a simple and pretty date look? Check out the tutorial below or on my Youtube Channel. And, if you have yet to try RIMMEL, well this month is your chance to try it at an even lesser price. Due to its 180th year celebration, RIMMEL is giving $1 off coupons on its sunday paper during April. So, don't miss out! 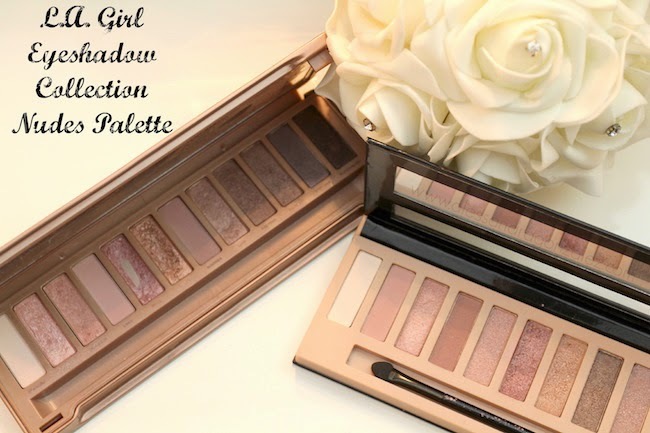 Get your #BeautyInspiration ! RIMMEL is giving away 25 $50 gift baskets with awesome RIMMEL products. You will be able to enter by submitting your name and email address via the Rafflecoper below. Las citas pueden (y deben) de ser divertidas, pero también pueden ser un motivo de un estrés muy grande ya que las primeras impresiones cuestas, y eso nos pone muy nerviosas. Nos queremos ver lo mas guapas posibles y obvio el maquillaje forma parte de ese estrés. Sin embargo, esta parte de tu cita debe ser la menos estrenaste si tienes un buen maquillaje que no se te corra y que no te haga pasar vergüenzas. RIMMEL London, por ejemplo, tiene muchos productos a muy buen precio y de muy buena calidad. Estan garantizados a ser a prueba de citas. Hace poco lanzaron una nueva base llamada Stay Matte Foundation. Esta base es perfecta para primeras citas ya que te ayuda a controlar el aceite que produce nuestra cara durante el día. Su formula es extremadamente ligera, se desliza super suave por tu piel gracias a su consistencia como de mousse, y te da un acabado mate. Esta base te ayuda a mantenerte impecable a un buen precio. Para hacer que tu mirada se vea mas seductora, trata de usar un rimmel/mascara que te separe bien las pestañas, que te de volumen, y que no te deje los ojos de mapache. La mascara Scandal Eyes de RIMMEl es perfecta para eso. Tiene una formula que ayuda a mantener el chino y un cepillo que te separa y alarga las pestañas. Es definitivamente una de las mascaras mas baratas que hay! Quieres obtener un look sencillo y bonito para ese día tan especial? Pues, te invito a ver mi video tutorial o a leer las instrucciones abajo. Ah, y si tu aun no pruebas la marca RIMMEL, te cuento que por motivo de su celebración de 180 aniversario, ellos estarán dando cupones de $1 de descuento en el periódico de los domingos, así que aprovecha y ahorra aun mas! Obten tu #inspiraciondebelleza ! RIMMEL esta dando 25 canastas valoradas en $50 solares de productos RIMMEL. Tu puedes participar agregando tu correo electrónico el la "maquina" de abajo. Solo es valido para chicas de USA. To make sure that your makeup lasts all day, use a foundation primer. I used RIMMEL's Fix and Perfect. Then, I covered my imperfections with RIMMEL's Match Perfection Concealer, which also acts as a brighter. I then applied my favorite foundation of the moment, RIMMEL's Stay Matte Foundation in Ivory, and I set it with RIMMEL's Stay Matte Powder in 004. The combinations of these products will ensure that your makeup remains flawless on your special date. 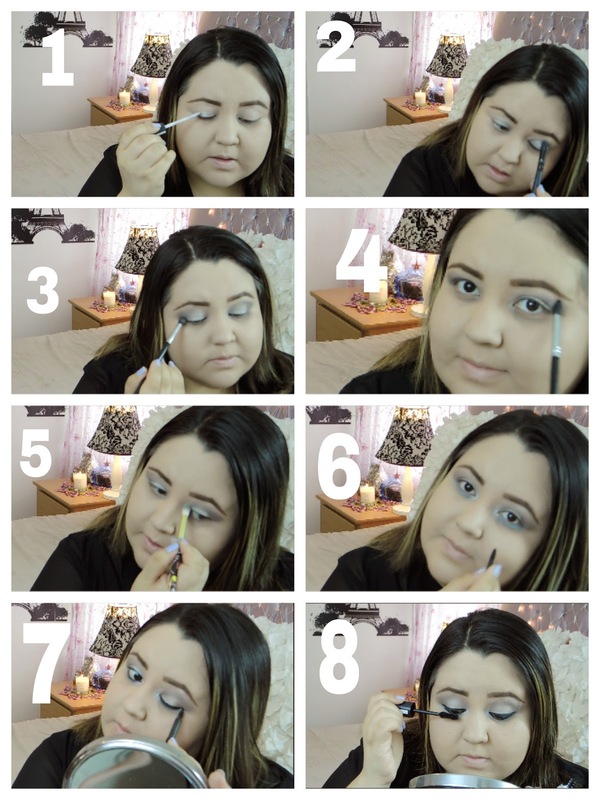 Para hacer que tu maquillaje dure todo el día, usa una pre-base de maquillaje. Yo utilize la Prebase Fix and Perfect de RIMMEL. Para cubrir mis imperfecciones utilize el corrector Match Perfection Concealer, de RIMMEL, que tambien actua como iluminador. Para terminar la preparacion de la cara, agregue mi base maquillaje favorita del momento, la RIMMEL Stay Matte Foundation en Ivory y la selle con el polvo Stay Matte Powder en 004. On the eyes I used, RIMMEL Scandal Eyes Paint in Mercury Silver. I then applied the grey shadow from the 001 palette on my lids. From that same palette, I used the dark gray color on the crease and I added a purple from the 021 Palette on the upper part of where I added the dark grey. To highlight, I used the light color from the 021 palette and I then added eyeliner and mascara. En los ojos utilize la pintura de ojos Scandal Eyes en Mercury Silver. Después aplique la sombra gris del cuarteto 001 en el párpado. De esa misma paleta, use el color gris obscuro en la parte de afuera (como en forma de V) y agregue un color moradito de la paleta 021 en la parte de arriba. Para iluminar use el color claro de la paleta 021, y después agregue delineador y mascara. For the rest of the dace I used the eyeshadow stick from the Scandal Eyes line, Witness White, to highlight my cupid's bow and other areas of my face. I then added the lipliner Exaggerate by RIMMEL and the Show Off Gloss is Out of this World. I topped it all off by adding some blush, and Voila! We are done and ready to go on a date! 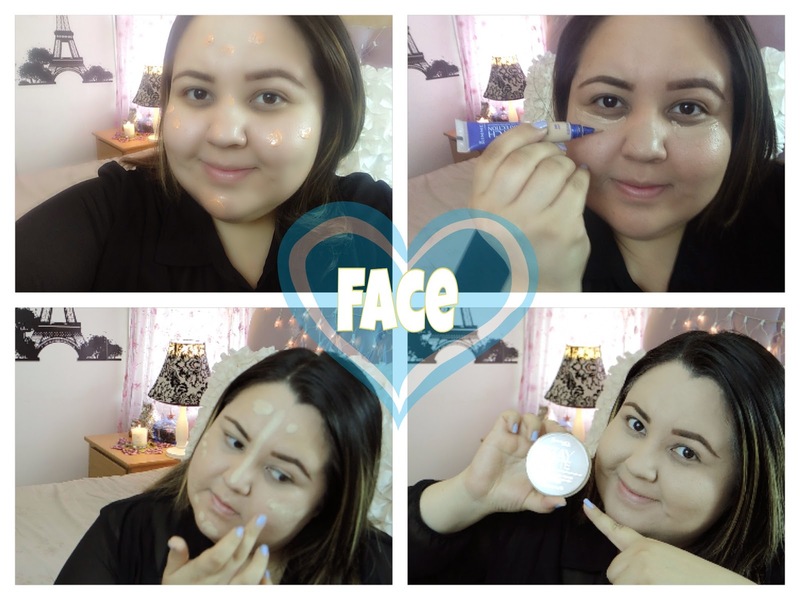 Para el resto de la cara solo agregue el lapis en crema Scandal Eyes en el tono Witness White en el area del cupido y para iluminar los pomulos. Después agregue el delineador Exaggerate de RIMMEL y agregue el gloss Out of this World. Termine todo agregando un poco de rubor y LISTO! Ya estamos listas para irnos a nuestra cita. NO PURCHASE NECESSARY. The Coty® Rimmel® Giveaway starts at 4/2/14 at 12:00 A.M. (midnight) ET and ends on 4/25/14 at 11:59:59 PM ET. Open only to (i) members of the Social Fabric community, (ii) legal residents of the fifty (50) United States, the District of Columbia, and (iii) who are at least 18 years old at the time of entry. Click here for Official Rules and details including how to enter, entry criteria, prizes and restrictions, etc. Void in PR and where prohibited. Sponsor: Collective Bias, Inc.
Me encantaria crear el look natural que crea en la reseña. Está precioso, natural y sofisticado a la vez. Me encanta como se ve el tu cara con estos producto me encantaría participar. Simple look for a busy mom like me. Hola Aleeeee soy una nueva seguidora . No se si te recuerdes de mi. Soy Gabriela Mendoza :-) . Leo tus consejos veo tus videos eres super buena honda ni que decir de tus consejos gracias por pensar en nosotras. Besos!